Herm Edwards hasn’t been a professional football coach since 2008, and he hasn’t worked for a college team since the 1980s. Fashions and customs have certainly changed since then, apparently to Edwards’s surprise. 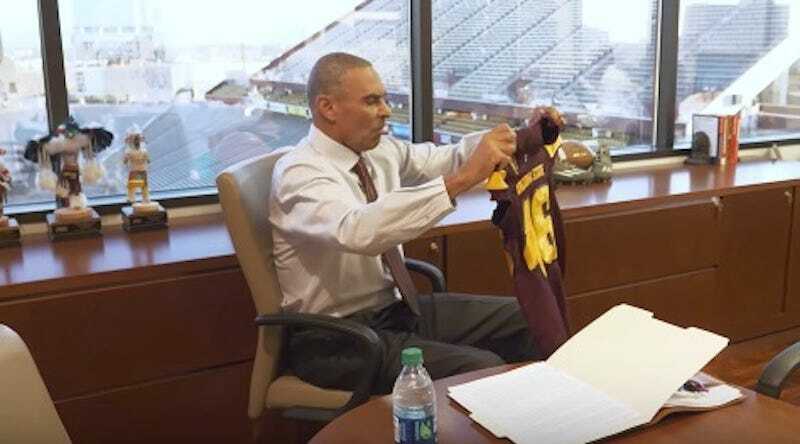 It’s going to be fun for Herm when he hears what sort of music is being played in the locker room these days. Who Is The Most Overused ESPN Personality?